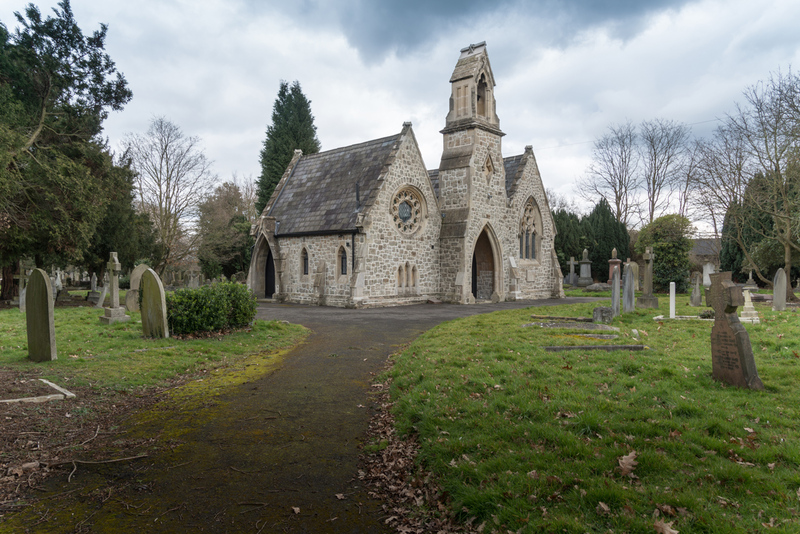 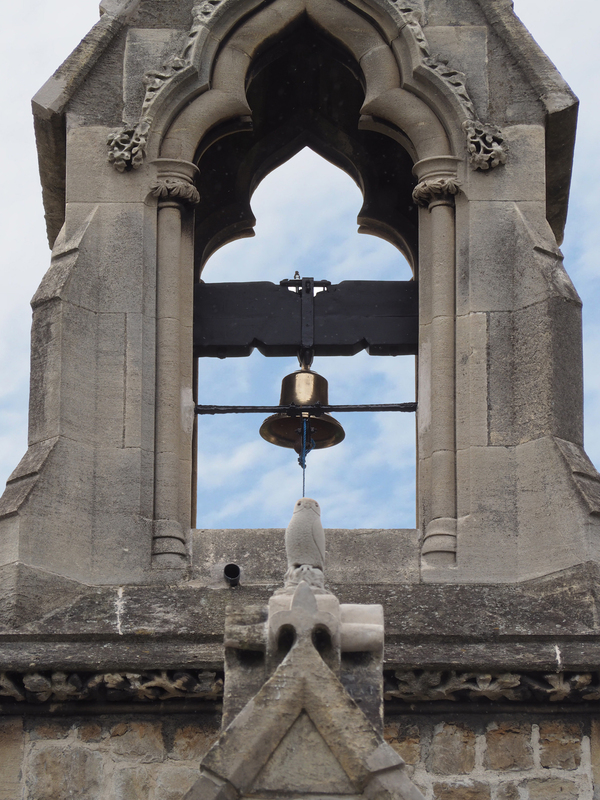 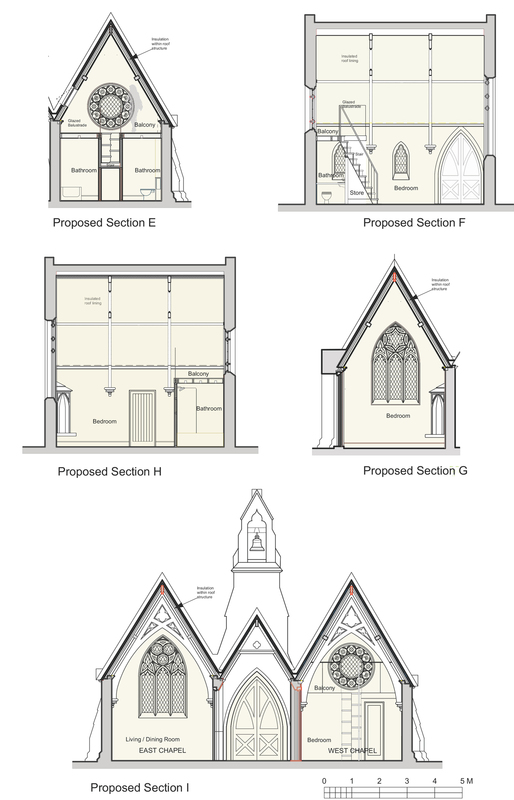 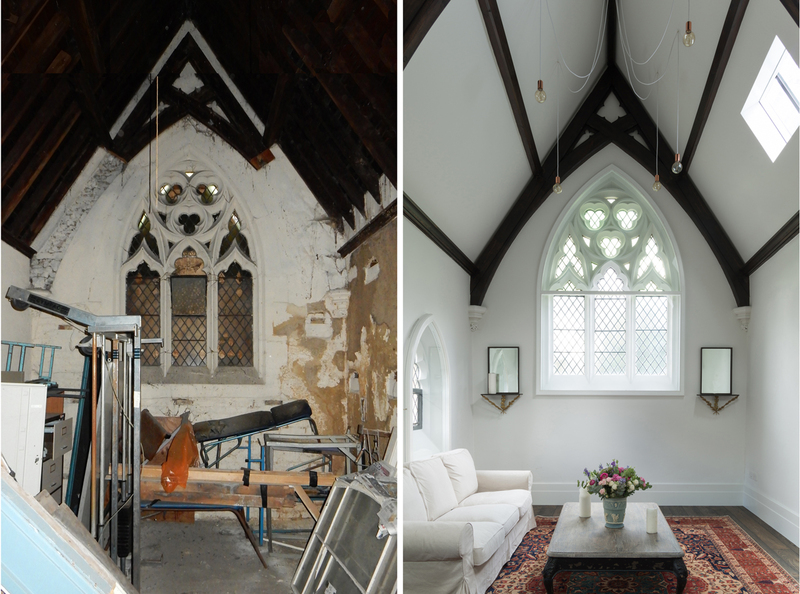 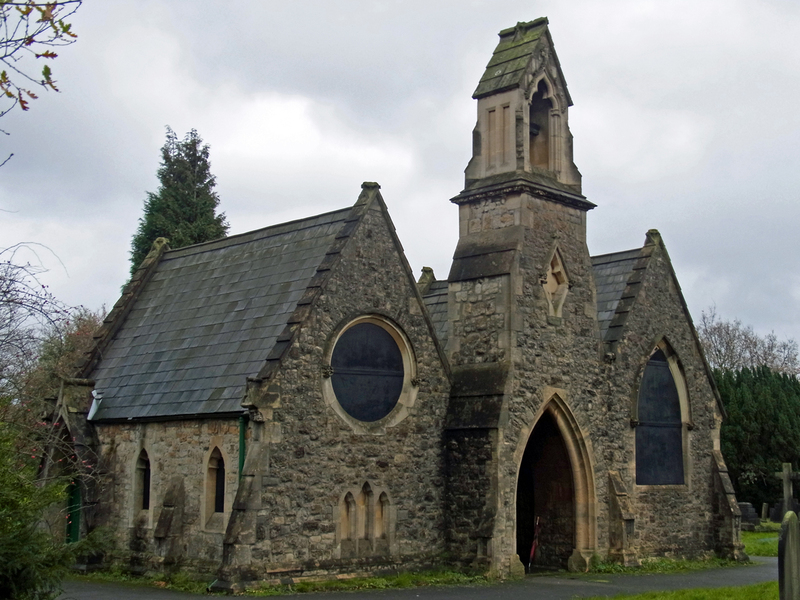 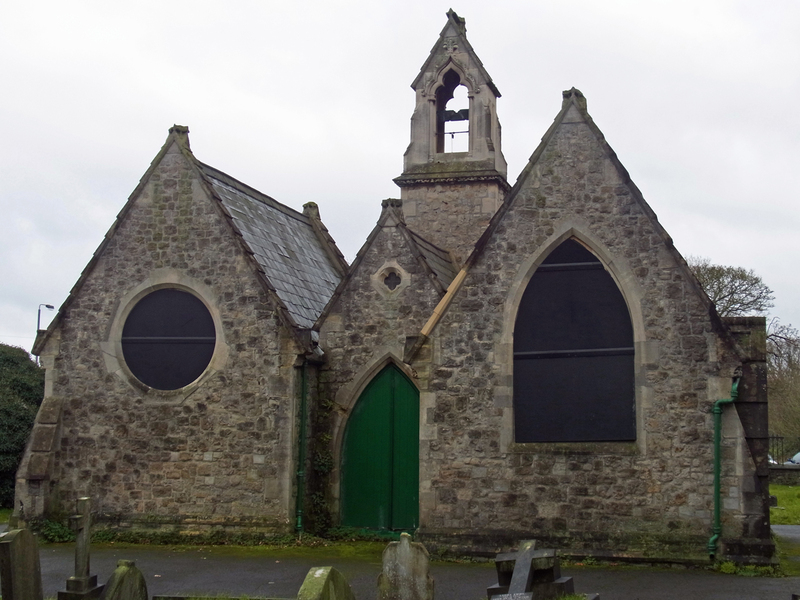 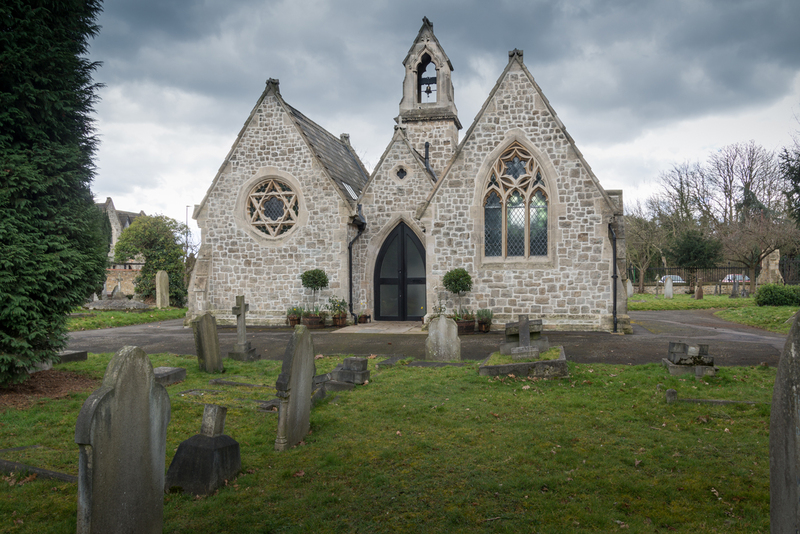 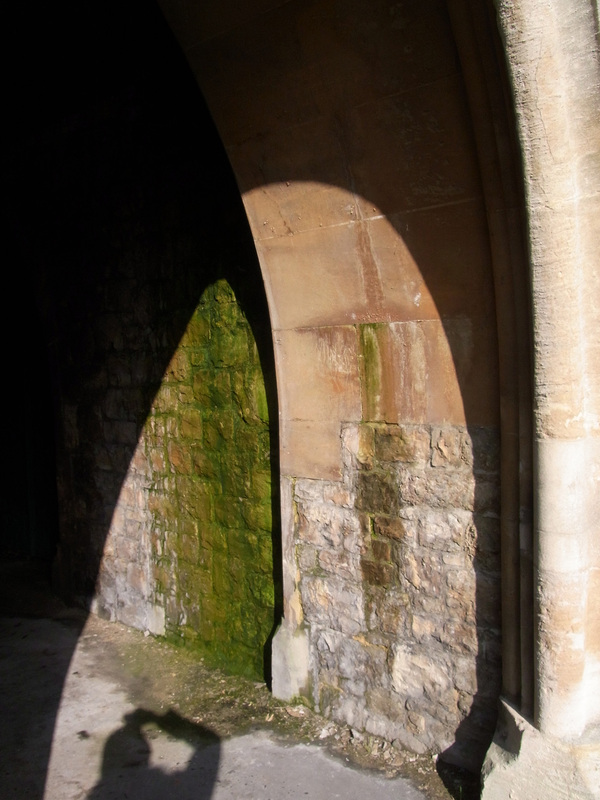 This project relates to two Gothic Revival Chapels, located in an historic cemetery in Putney; unused for over 30 years and in a state of dereliction. 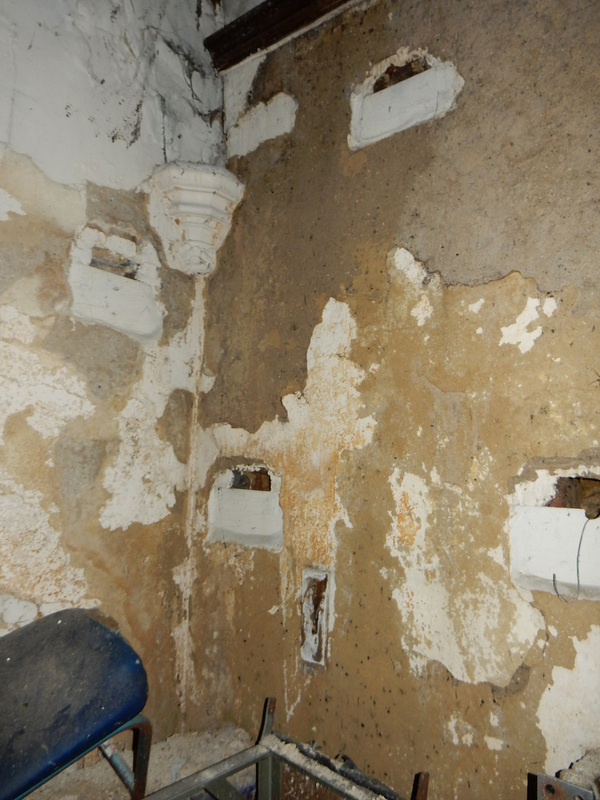 Stonework was deteriorating, the roof damaged and lead gutters stripped, causing extensive water penetration and damage. 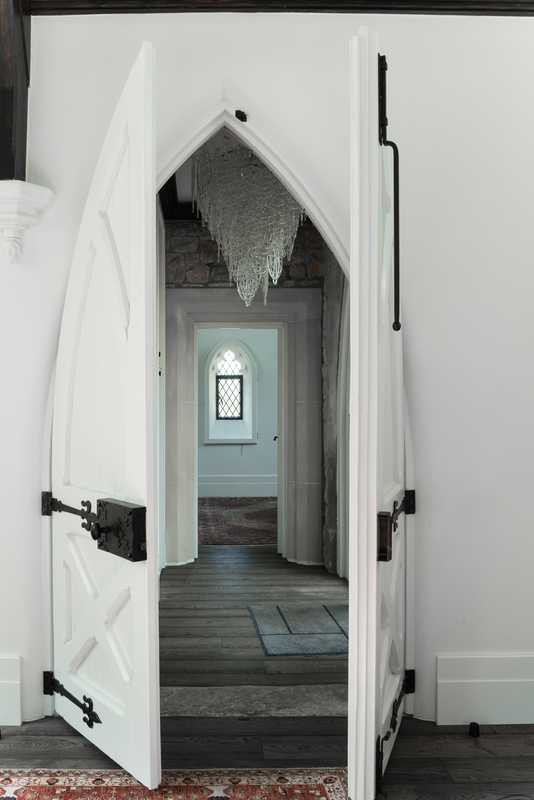 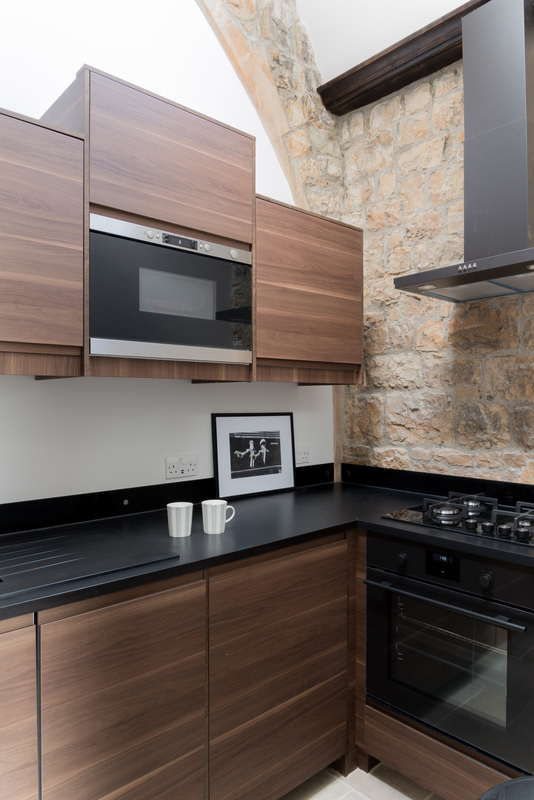 This project has rescued these crumbling Gothic Revival Chapels using traditional materials and techniques in an imaginative and subtle conversion into a small private dwelling. 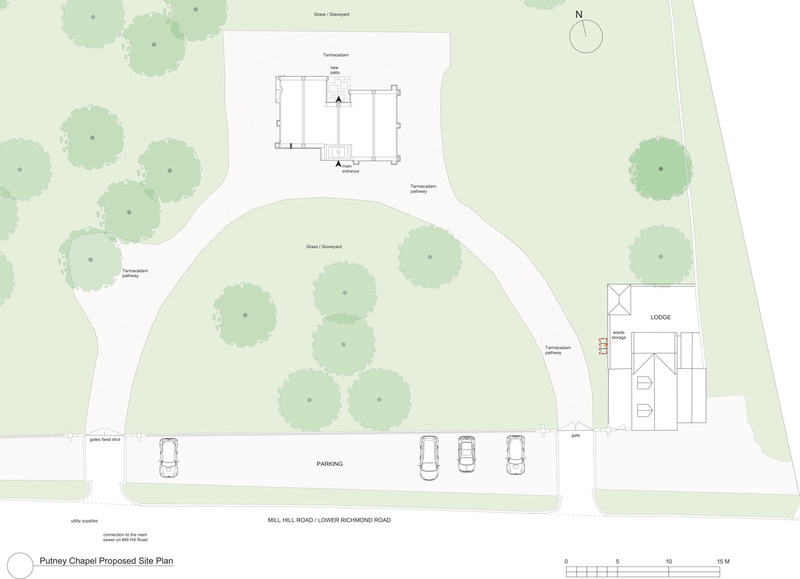 The design is very simple, but effective. 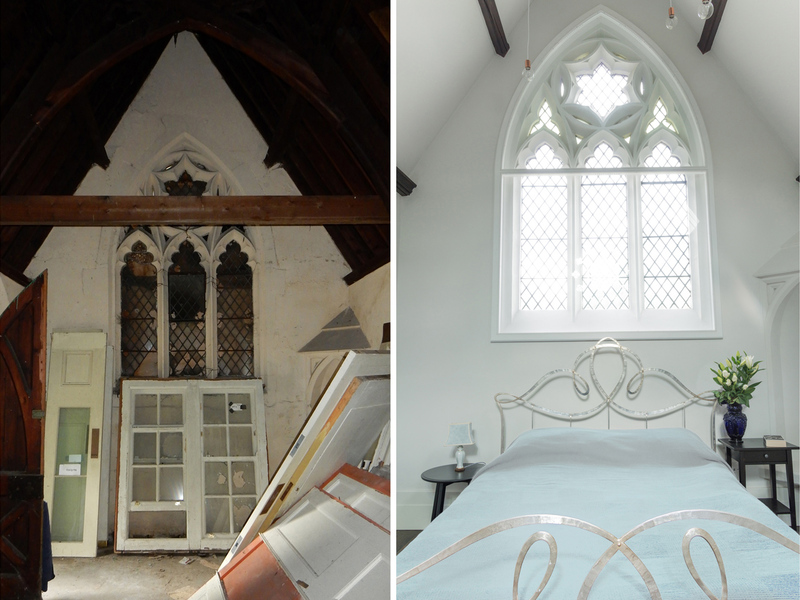 The East Chapel is used as the principle living space, with the bedroom, bathroom and a mezzanine balcony in the West Chapel. 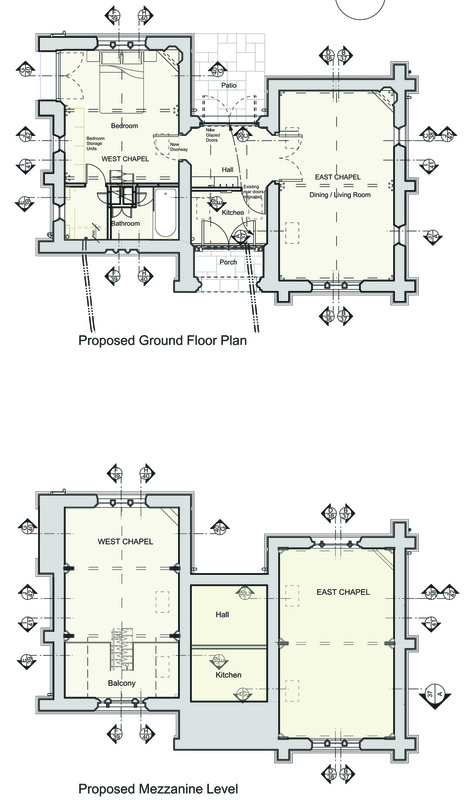 A new kitchen and entrance lobby are in the central aisle. 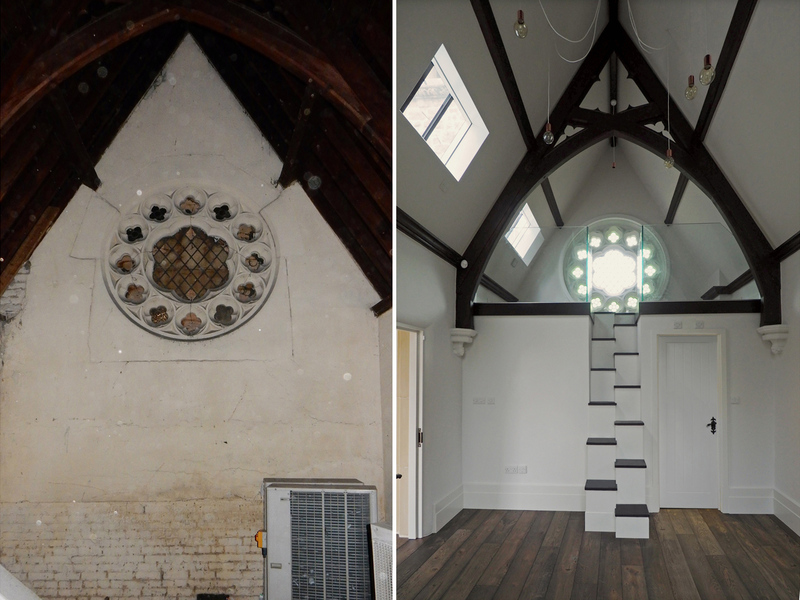 The recessed porch has been retained at the front with doors transferred from the rear, with a private main entrance through glazed doors at the rear. 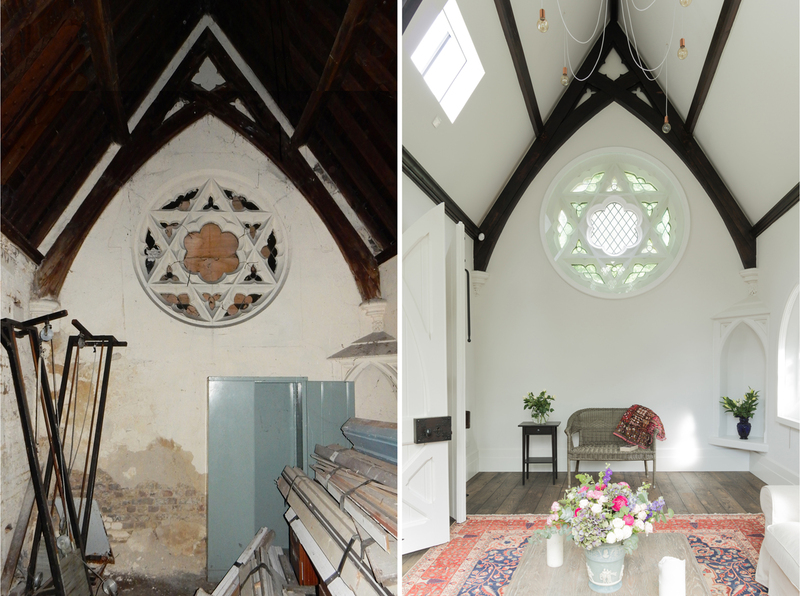 The large tracery windows are supplemented by small side and roof windows providing ventilation and light, while new timber floors and woodwork with painted lime plaster walls and ceilings create a simple clean aesthetic successfully combining the character and form of the chapel and its new home use.